To avoid students from cheating in exams, these universities used hilarious anti-plagiarism methods. 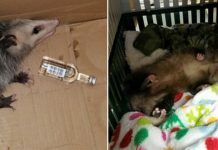 The last picture will make your burst into laughter! There are many ways schools and colleges do to ensure that their students never cheat in exams. 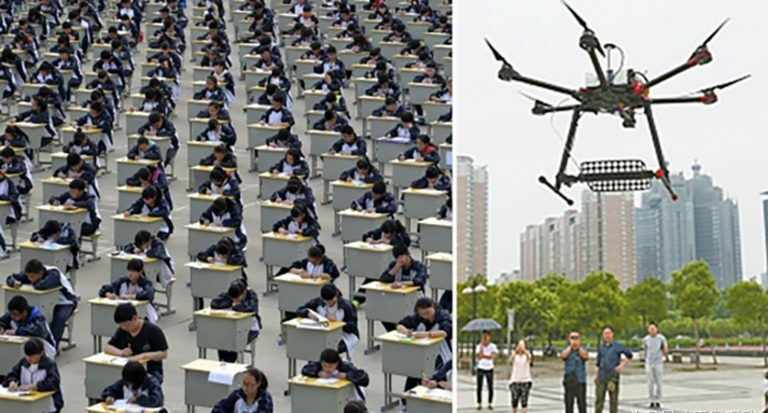 Some remind their students the heavy consequences they will get if caught cheating in exam but some decided to use these hilarious and extreme methods to guarantee their students will not use cheap tricks in exams! 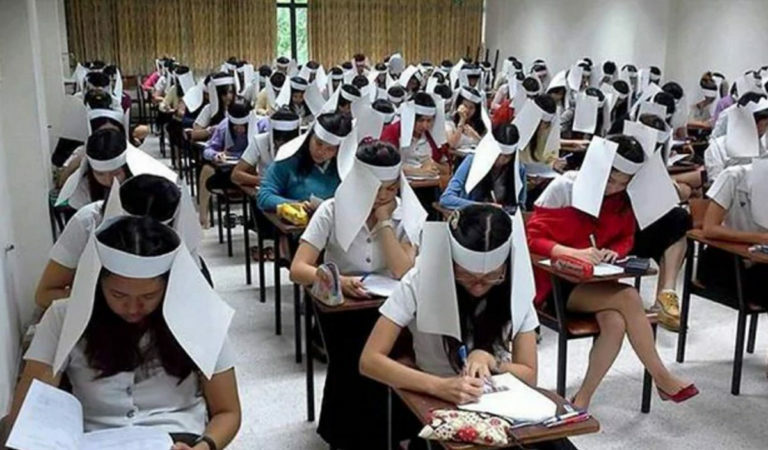 To avoid its students from cheating in exam, one university in Thailand came up with an extremely unique solution where they demanded each of its student to wear cardboard helmet to exam! 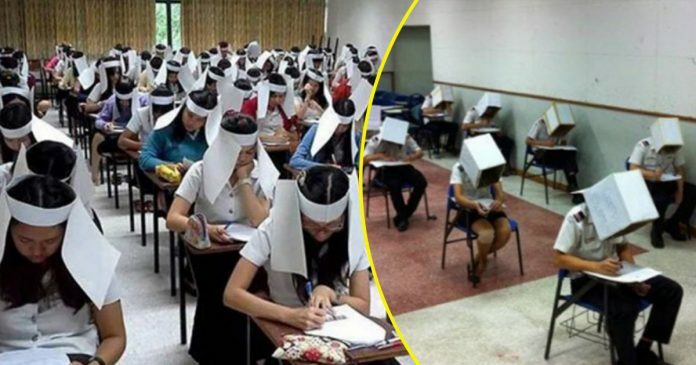 However, the helmet idea might have been found to not be as effective as they wanted it to be so another university in Thailand came up with ‘anti-plagiarism box’ to replace the cardboard helmet. 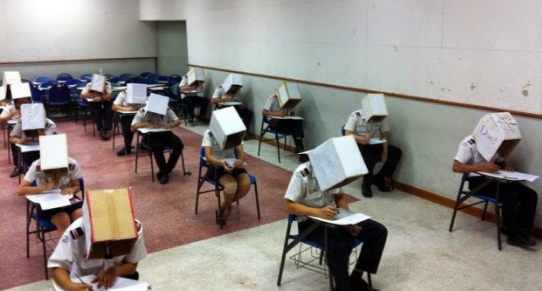 It is certainly hilarious to see all of the students to wear it while taking the exams! Some universities even took an extra measure to ensure that no cheating would occur during exam. 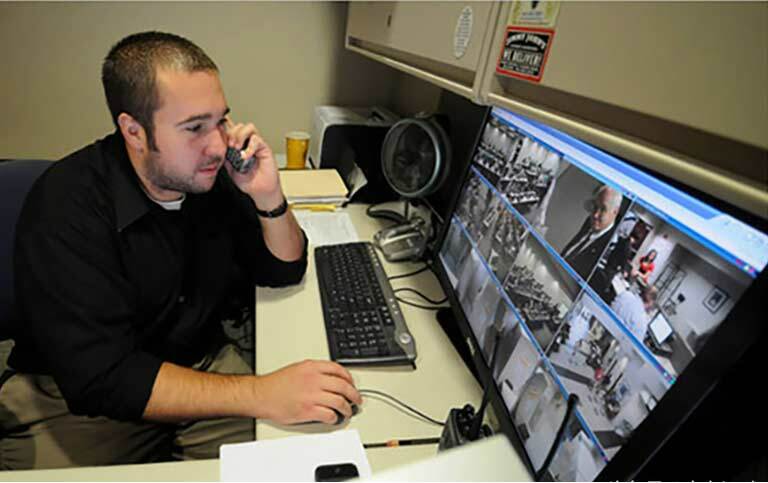 The college in China is not the only one which was concerned with its students, one college in the US was also found to use uncommon method to supervise their students, this time by using high resolution cameras. Meanwhile, one college in Australia banned smartphones from entering the exam halls. 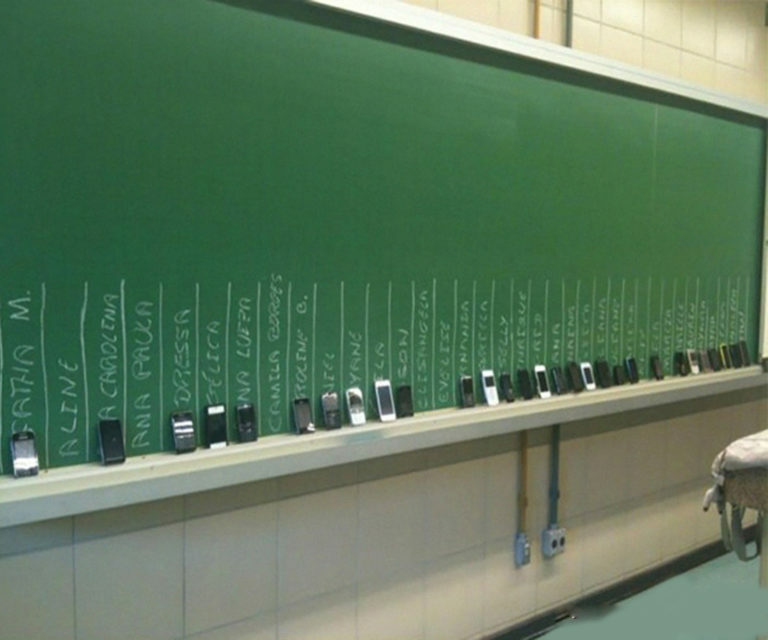 Does this solution work if the students have more than one mobile phone? 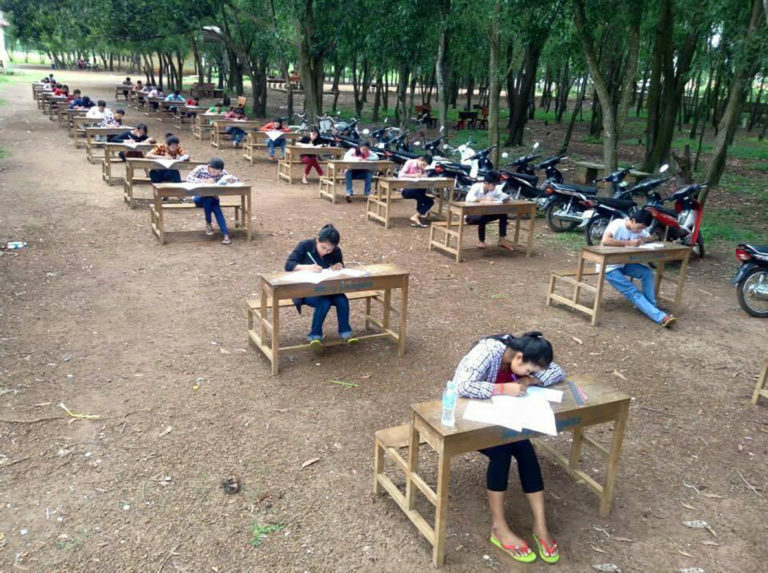 If the anti-plagiarism measures used so far are not effective, one university in Myanmar decided to hold their exams in a rural area! Just to make sure that even if the students decide to cheat with their electronic devices, they would not be able to access the Internet anyway. However, the most extreme anti-plagiarism method would be the one used by a college in India where the students are only allowed to wear underwear to the exam! 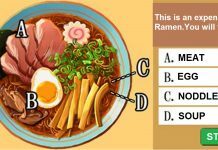 So, what do you think of these methods? Certainly some of them are just too hilarious! We understand that the teachers have to be creative and get ahead of their students when it comes to cheating in the exam. We hope that none of you will use cheating tricks when it comes to exam. Study smart and you will not have to resort to any tricks to score in your exams! Next articleJapanese shogi player Manao Kagawa acted as a little boy. She has grown up and her appearance changed completely! 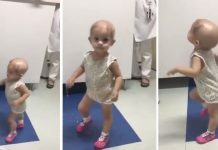 Netizens said she could be a star!